A few days ago on Facebook Roger Welsch posted a link to a New York Times article that had some interesting stuff on things Pawnee. Roger is a much-loved ethnic Pawnee who long ago put his reputation on the line by supporting the Pawnees when it wasn’t a very popular thing to do. And he is respected among his fellow Pawnees for other reasons – as those who read the NYT article will discover. I pictured this scene for a few days and decided that it meant something interesting. Here were eight Pawnees in 1872 on horseback holding reins “tinkling with little bells.” They considered themselves to be Pawnees. No one had any doubts about that. In fact, when most people picture Pawnees today, the image of these eight Pawnees might well be looming somewhere in the background. They rode horses that came from Europe; they decorated their horses with bells that dimly echoed distant American and European factories. They might have been wearing beads from Czechoslovakia and cotton woven in Britain, and they could have mounted up soon after finishing their coffee from the Middle East, sweetened with sugar from some Caribbean island. They thought of themselves as “Indians” – an idea born in the intellectual factories of Europe and America and imported into Pawneeland. These were eight quintessential Pawnees. In the year 1872 in the Pawnee homeland, when these men mounted their horses, the reins made pretty sounds in their hands. Grinnell sat on his horse nearby. He was a sharp observer of his times, but he didn’t seem to know what he had just seen. Because looking at these Pawnees, his gaze had just fallen upon the whole world. I think many mysterious qualities help to make us who we are. We can offer useful specific comments about things that seem unique in our language, religion, ideology, and lifeways – it is appropriate to distinguish ourselves culturally from the other people around us. But we are connected, too. To everyone around us. We make such connections when we exchange ideas about selfhood and identity. We might say we are Pawnees, but this can mean many things. 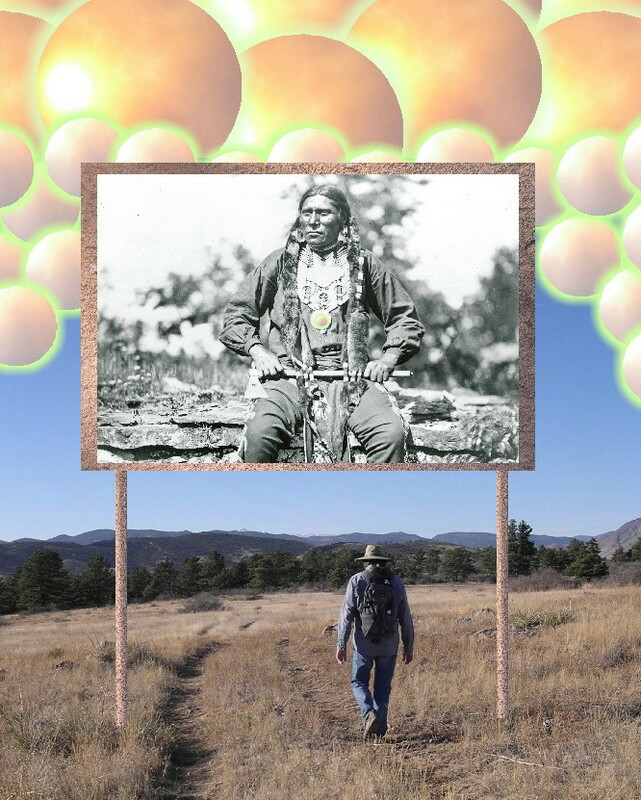 Each of those eight Pawnees in 1872 saw themselves as individuals caught up in a communal story – the story of being Pawnee in a complex world. They made choices about what they liked, what they enjoyed. They carefully crafted their personal and social identities. Being Pawnee meant something to them that seemed very specific, I’m sure, but there were also less definable qualities that shaped this story. So when we visit Pawneeland, it is a place in the mind. We encounter a complicated and somewhat mysterious story that constantly unfolds its secrets to all who care. This is what the silver bells say to us. Designing this blog on Pawnee history, it seemed appropriate to begin with an image of the Many Potatoes River. I took the photo in April 2011 not far from Dannebrog, Nebraska. And I decided to put it up as the banner image for the blog. Deep in the ancient Pawnee homeland in the Central Plains of North America, the three branches of the Many Potatoes River rise from hidden sources, and they join together to find their way into the Flat River. And from there, ultimately these waters flow downhill into the oceans that ring the world that bounds ancient Pawneeland. I don’t know when the river got the name Itskari or Many Potatoes River. This term refers to a plant that long ago grew upon its banks. This plant produced edible tubers, and people learned that they could rely on “its” (pronounced “eats”) when need arose. I don’t know how long the river has borne the name of this valued plant because I don’t know how long my Caddoan-speaking ancestors dwelt in this region of the world. We can make some useful guesses about that, of course, but one thing seems clear. 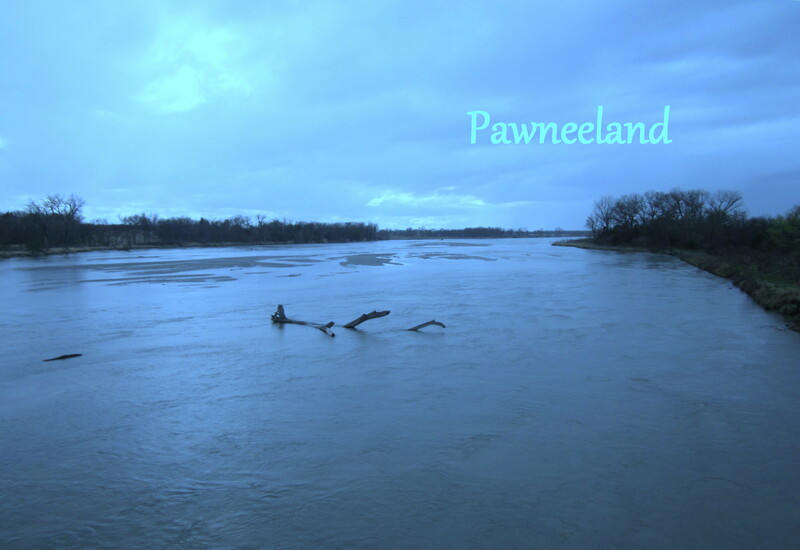 The Many Potatoes River is a Pawnee river, but it is also a river that flows into many realms of history and identity. People who identify themselves in many different ways have sipped its cool waters. They have tasted these rolling waters and have called it by many names. Today this waterway is widely termed the Loup River – a name that has nothing to do with the healthy plant that my ancestors long ago found growing on its riverbanks. I guess my point is that water tends to take many shapes in our imaginations. And rising from invisible underground aquifers, the Many Potatoes River, like all the rivers of the earth, moves from year to year, from language to language, from mind to mind. This river summons us all to drink, whatever names we bestow upon its waters.